The lifelong dilemma for racers and engine builders has always been how to balance performance with cost—which always seems to be rising. It is true that for most of us, racing is a non-profit endeavor. But that doesn’t mean you have to burn through your money like it's race fuel.Wiseco introduced its Quick 16 pistons a few years ago to provide Sportsman and other big block drag racers with an option that resets the paradigm. 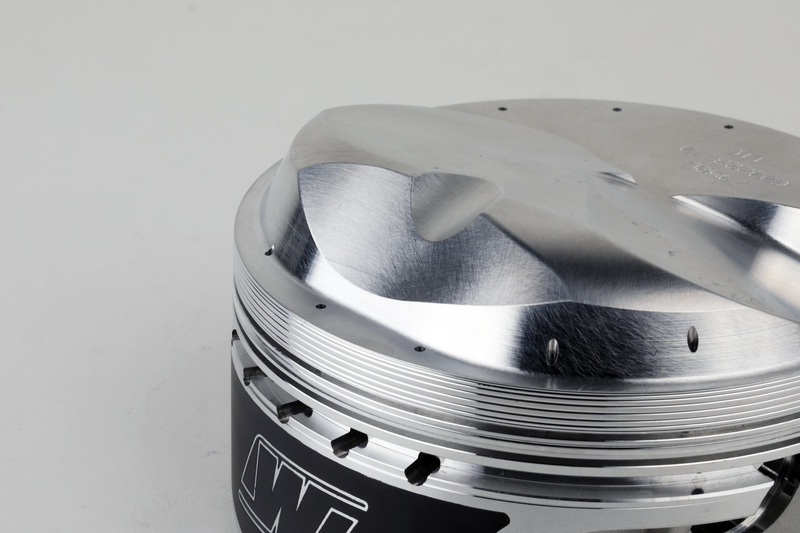 Wiseco’s engineers took what they learned building race-winning pistons for the Pro Stock classes and transferred that to designs intended to provide ultimate performance for high-performance big blocks making tons of power through big cubic inches and big valves that flow lots of air. Quick series pistons are forged from strong, 2618 alloy aluminum and feature strutting to help bolster the piston from big horsepower. 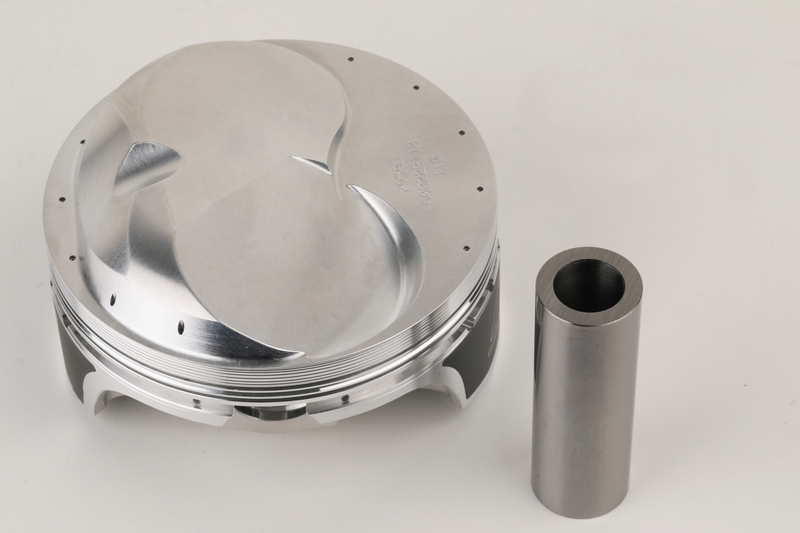 The Quick series of pistons utilize features that are normally only found in custom slugs for max-power race cars but are priced to make them affordable for Sportsman and other drag racers. Wiseco’s Victor Ellinger says that racers in other disciplines as well as hot rodders have also discovered the pistons. “They are great for the weekend warrior and grudge racer all the way to the professional Sportsman racer chasing an NHRA national championship,” he says. They’ve shown up in lots of top-flight engines built for tractor pulling, mud bogging, endurance racing, marine and street. 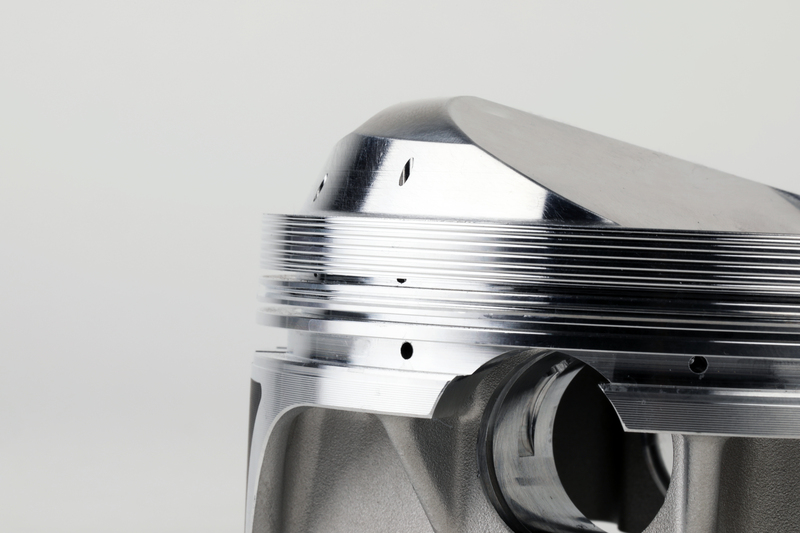 Vertical gas ports are included on all Quick series pistons. They use combustion gas to pressurize the thin, .043in compression rings. This ensures low-friction on the intake, exhaust and compression strokes, and maximum ring seal on the power stroke. 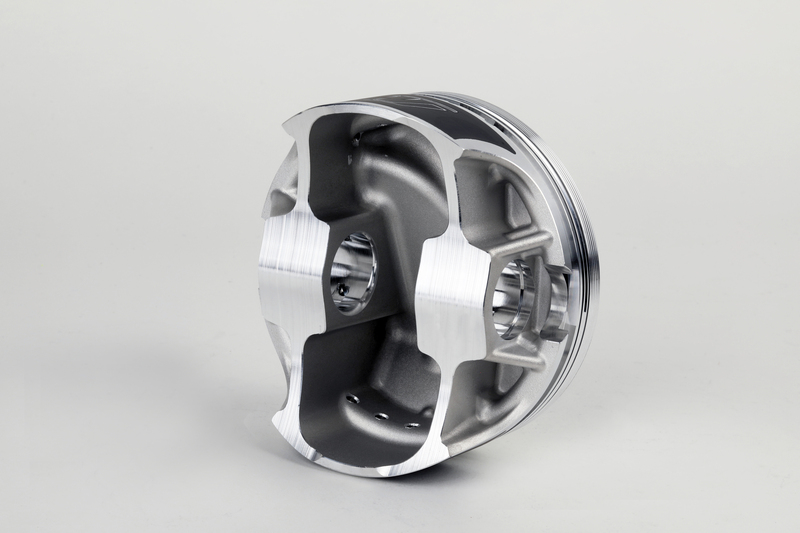 A new-generation strutted forging was developed for the Quick series of pistons using 2618 alloy that allows them to be both incredibly strong and quite light. Each forging is CNC machined with a wide variety of features to help improve both power and durability, including anti-detonation grooves, 15 “Pro Stock” pressure seal grooves, reinforced decks and profiled domes for nitrous use. There are also vertical gas ports drilled through the top of the piston to the upper ring land. The ports allow pressurized gas from combustion to get behind the top ring and help press it against the cylinder wall for better sealing, and the vertical ports are more efficient than lateral gas ports often found in street-only pistons. This allows the use of a lightweight 0.043 piston ring package that minimizes drag as the piston travels up and down the cylinder bore. Then when maximum ring-to-cylinder-bore pressure is required on the combustion stroke, the gas ports help provide it. Premium rings, pressure grooves, and forced pin oiling are all part of the Quick series' strategy. Tool steel wrist pins and extra thick crowns further up the performance ante. To give the pistons additional help, the skirts have been given Wiseco’s ArmorGlide protective anti-friction coating, and tool-steel wrist pins with 0.180-inch wall thickness to limit flexing for maximum power potential. Quick series pistons are ready for competition right out of the box and are available for all of the popular big- and small-block cylinder head configurations, such as chamber shapes from popular manufactures and various bore and stroke combinations. Surprisingly, despite being a shelf piston, the Quick series is also quite customizable. With just a few part numbers, they cover most of the engine/cylinder head combinations out there, but Wiseco’s engineers knew they needed to be able to offer more. For example, the Quick 8 pistons are designed with a solid dome and 0.200-inch thick deck, so you can cut extreme valve pockets for even the most severely angle-cut heads, or even mill the dome completely off to create a flat top piston. Because of the strutted forging design, the piston is still light weight even with the extra material up top. Other customization options are also available from the factory. You can make changes to the bore size, dome volume (to make the engine either turbo or pump-gas friendly), and compression height with just a call to Wiseco’s tech center. Best of all, each change is just a $5 per piston up-charge, and the pistons can be at your door in just three weeks. The list of racers who have been running and winning with Quick series pistons is long and impressive. They include Luke Bogacki, Gary Stinnet, Nick and Brian Folk, Brett Nesbitt and many others. If you race a big block or small-block, give the experts at the Wiseco tech center a call and see how the Quick 16 and Quick 8 pistons can benefit your program.